Επιλέξτε για τη διαμονή σας στην Αθήνα το ξενοδοχείο Acropolis Stay. Συνδυάστε μοναδικές και υψηλής ποιότητας υπηρεσίες, σύγχρονες εγκαταστάσεις και πολυτελή διαμονή. Μια μοναδική εμπειρία φιλοξενίας στην καρδιά του ιστορικού κέντρου της Αθήνας. 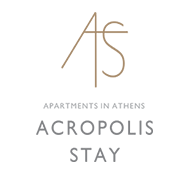 Excellent customer service with outstanding hospitality that will make Acropolis Stay my first choice for Athens. Impeccably cleanliness with beautifully designed rooms at very reasonable price and centrally located. It was a memorable stay. I felt welcomed and a valued guest with memories of adventure to last me a life time. A heartwarming THANKS and GRATITUDE to Owner, Vasillis Tsantrizos and Danae who made my Athens visit memorable and unprecedented. Je recommande cet hôtel. Très bon accueil, lit très confortable et propreté impeccable. L'hôtel est idéalement situé à 5/10 minutes à pieds de l'acropole et du quartier plaka. Rue légèrement bruyante et pas d'ascenseur (monte charge pour les bagages). Perfect short stay in athens The place was great! Close to public transports and food. The room was very nice! The lady at the reception helped us to book a taxi to the airport and gave us discounted price. Definitely gonna stay here again! Staff were friendly and exceptionally helpful. The owner and his family advised us on where to visit and how to get there, recommendations on where to eat (that were not disappointing) The accommodation was superb..... excellent shower!!!!! clean and everything that we required and more. If you are going to Athens we highly recommend staying here. Отличное местоположение, чистые номера, ежедневная уборка, кофе в номере, рядом любые рестораны и кафе. В отеле приятный запах, чистое новое белье, мягкий матрас, мини кухня и современный стиль. Все работает, все новое. Отличное отношение хозяев к своему отелю и своим гостям. Все исторические места в шаговой доступности. Обязательно остановлюсь в этом отеле еще раз. Спасибо! Très bien, un établissement à recommander. La situation géographique, à quelques mètres de la sortie de métro. La chambre donnait sur une rue perpendiculaire et était donc relativement calme pour l'emplacement. Une literie incroyable et tout le confort souhaité. L'accueil était très agréable ainsi que la communication. Pour quelques jours, bien centré, c'est vraiment un établissement design à recommander. Un bug avec le wifi mais c'est un détail. Comfortable, quiet and serviceable rooms with facilities. Extremely comfortable. Good location. Good breakfast ordering system. Es war alles top. Bequemes Bett, Zimmer sehr modern, Bad zwar klein aber fein. Mir hat es dort sehr sehr gefallen. Das nächste mal geh ich aufjedenfall nochmal dahin. Staff waren auch super freundlich. Die Lage war auch top. Man ist in zehn Minuten (zu Fuß) in syntagma(shopping Meile). Direkt hinter Acropolis stay ist das Acropolis Museum und viele Restaurants und andere Museen sind auch um Acropolis Stay. Wovon ich noch begeistert war, ich hatte nicht nur griechische Fernsehprogramme sondern auch deutsche. Vor Ort findest du auch eine Broschüre wo drin steht wie du was betätigt. Gentilezza e cordialità in un ambiente moderno e attrezzato a due due passi da Acropoli e Museo. Lo consiglio! Kort bij Acropolis Metrostation, de meeste bezienswaardigheden zijn dan ook op loopafstand. Ik had een economyroom, maar dit was de beste tot nu toe in Griekenland. Prima bed met heerlijke kussens, ruime inloopdouche, breedbeeld tv met internationale zenders. Keukenblok met o.a. waterkoker, Dolce Gusto koffiemachine, koelkast en magnetron. Vriendelijk en behulpzaam personeel. One on every level amazing hotel! The rooms are incredibly clean and nice, the beds are like a dream, the bathroom is luxurious, the air conditioning works perfectly, and one can only enjoy it here. The location is also the best possible in Athens. Last but not least, the staff are so helpful and friendly. You just can’t stay better in Athens!